Where My Heart Lives...: Pimping for "the Cure"! This weekend we went to eastern Washington to audit a horse training clinic (more about that later). 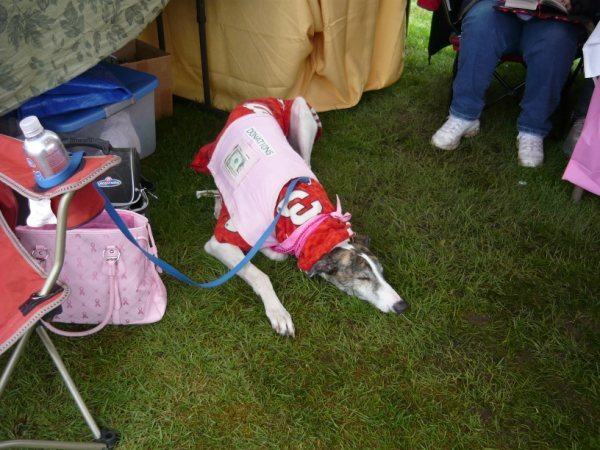 Creel, our Greyhound, spent his weekend with his foster mom, Lori and her four dogs --- 3 Greyhounds and a Borzoi. 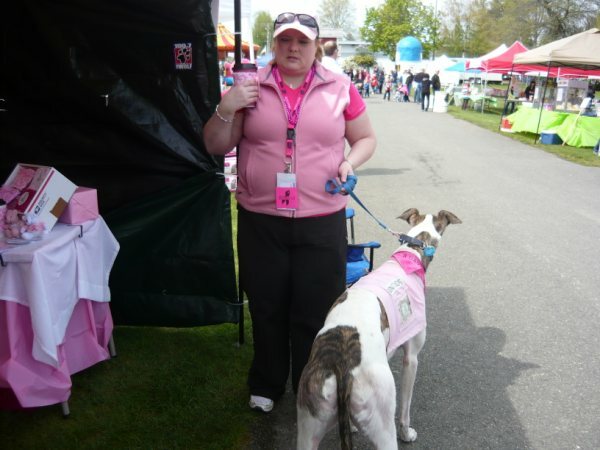 On Sunday, Creel accompanied Lori to the Spring Fair in Enumclaw and helped out at Lori's Susan G. Komen 3-Day for the Cure booth. 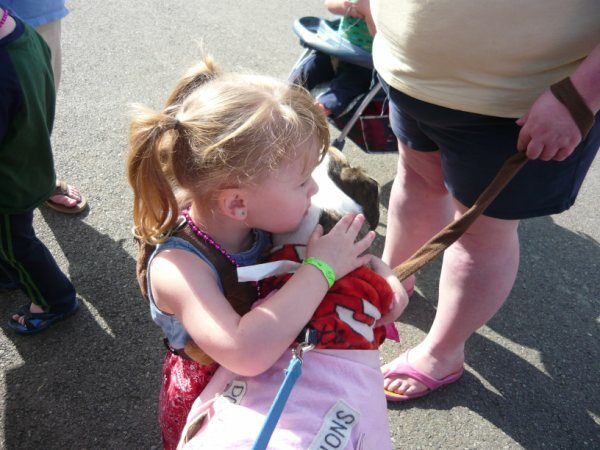 Pairing up with Lori's co-walker-for-the-Cure, Creel scanned the crowds for donations. 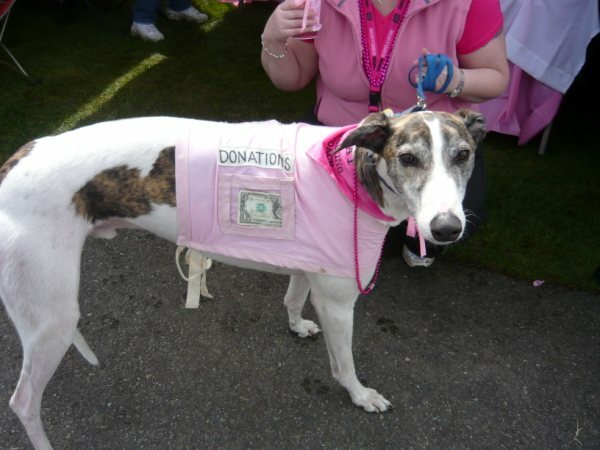 Tough enough to wear pink, working-dog Creel wore his pink beads with pride as he collected donations. Hours later, an accomplished fundraiser, Creel caught some shut-eye. And finished out his successful day with a "thank you" hug from a young fan. What a great idea!! I guess I need to make some pink blankets for my dogs, eh?